The development of the Netherlands over the centuries has been a remarkable one. Situated at ‘the end of Europe,’ between land and water, its people have, for more than three thousand years, fought to make the best of a country unfavoured by nature. They have shaped it into one of the world’s foremost economic powers but also, and even more importantly, into a society that prides itself on having reached a fair balance between material and social well-being. The history of this achievement is a fascinating one. Since time immemorial, it is the history of the struggle against the sea, of man seeking to dominate the forces of water. It is the history of the early medieval Dutch traders, who travelled all over Europe to sell their wares. It is the history of the activities ofthe world’s first multinationals, the Dutch East and West India Companies, that spanned the entire globe. It is also the history of the loss of colonial empire and of the triumphant rebuilding of a mainly commercial economy into a mainly industrial one, whose activities, once again, span the globe. It is, of course, also the history of a culture to match, of commonsense and realism, of the wonderful works of art produced by the Dutch ‘Golden Age’ of the seventeenth century and of the many attainments of Dutch civilization in more recent years. 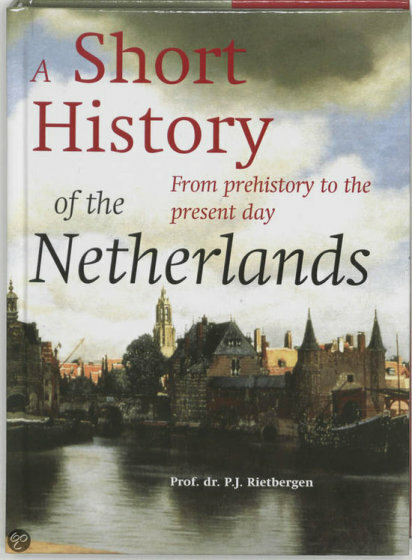 For all those who are often amazed at the industry and achievementsof this small nation, the ‘Short History of the Netherlands’ offers a succinct historical tale that goes a long way to elucidate the country’s past and, thus, explain its present.